By using or visiting 08tickets.com, 08 Tickets Web Site, Ketab Corp. and all its Affiliates, Agents, Representatives, Web sites and Sections ( hereinafter referred to as“ 08 Tickets Sites” or “we”/ “us”) for purchasing or reselling your ticket/s, from 08 Tickets Inc., its affiliates, Agents, (hereinafter, “08 Tickets” ) you acknowledge that the following terms and conditions govern the use of 08 Tickets services and that you expressly agree to be bound by these terms and conditions and to follow all of them, and observe all relevant regulations and laws, governing this web site. In case you violate any of these terms, conditions or relevant laws or regulations, 08 Tickets may stop you from using its sites and services, prevent you from further use of 08 Tickets Sites, nullify and cancel the tickets you purchased from 08 Tickets Sites, and /or take necessary legal actions against you. Any violations by you will result in extinguishing of any and all potential obligations by 08 Tickets Sites and 08 Tickets Inc. to you. 08 Tickets and all its affiliates, agents, or representatives, reserve the right to change the terms and conditions of use at any time it deems appropriate. Therefore, it is your responsibility to visit our site regularly in order to learn about the new terms and conditions. By using 08 Tickets Sites and Services you acknowledge and warrant that all information you provided to us are true, accurate, updated, complete and correctly represented by you, your agents and or representatives (hereinafter,“You”,”Your”). You further, undertake that you will abide by all the laws and regulations and acknowledge that 08 Tickets will not be liable for any of your non-compliance with the laws. In case we cannot verify any information you provided or unable to authenticate any documents/ tickets you presented or not receive authorization of payment by your credit card or your bank account verification, we reserve the right to, and may cancel your ticket/s and prevent you from using 08 Tickets Sites and services. 08 Tickets accepts no liability and is not liable for any lost information or data as the consequence of using and operation of 08 Tickets Site or the carry-out and enforcement of the Terms and Conditions. 08 Tickets highly advise all its users to keep their own back up versions of any information or contents they provide to 08 Tickets Site. 08 Tickets will prohibit any unlawful use of 08 Tickets Sites and will terminate any and all privileges of any user who uses 08 Tickets Site for any unlawful purpose or to illegally transmit copyrighted materials without an express permission, license, valid exemption, consent or defense, especially if the users of 08 Tickets Sites, submit to this site, articles, photos, graphics, stories, or other materials capable of being copyrighted, such users must make sure that the content they upload, does not violate any rights nor infringe upon any copyrights of third parties, trademark, trade secret, publicity rights of others. When the holder of any copy right or its agent informs us about such infringement, and after the court orders or admission by the user that he/she has used 08 Tickets as a mean for illegal infringements, we will terminate the privileges of such user. You agree not to have any claim against 08 Tickets, its affiliates, officers, agents, employees and parties, in privity of contracts, for any loss, liability, damages, made by any third party arising out of use of 08 Tickets Site, in any kind or manner. You Expressly agree that 08 Tickets will not be liable to You for any Direct, Indirect, Special, General, Compensatory, Consequential, Exemplary, Incidental, or Punitive damages, or for Lost Business Opportunities, Profits, Revenues, pertinent o the use of 08 Tickets Site. 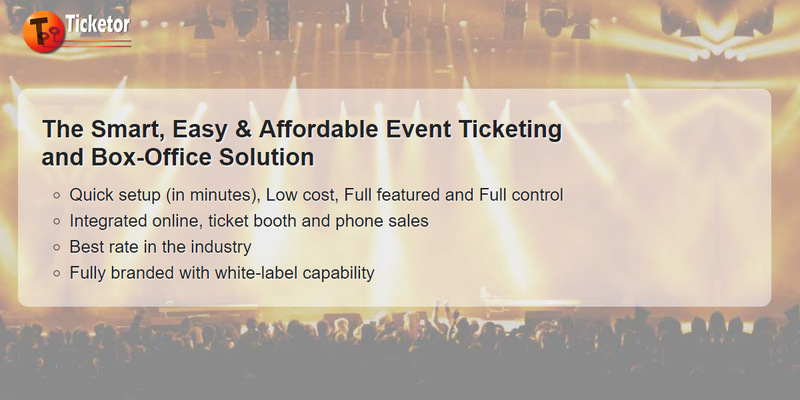 08 Tickets disclaims any and all liability for the acts, omissions and conduct of any third party user/s, advertisers and/or sponsors on 08 Tickets Site, in connection with the 08 Tickets services or related to the use of the 08 Tickets Site. 08 Tickets is not responsible for the products, services, actions or failure to act of any Venue, Performer, Promoter or other Third party, related to or referenced on the 08 Tickets Site. Content of 08 Tickets website is for general information and use and is subject to change without prior notice. 08 Tickets does not guarantee the accuracy, completeness and timeliness of the information posted on 08 Tickets by us or any of our partners. It is your responsibility to check and validate all these information. 08 Tickets and all its affiliates and Agents, do not represent that 08 Tickets Site will be without any error, nor it guarantees that it will provide particular results from using 08 Tickets Site or any of its contents, search or links on it. The services, 08 Tickets Site and all of its contents are made available to You only on an “AS -IS” basis. 08 Tickets is not guaranteeing that 08 Tickets Site or the files you download there from, are virus-free or not contaminated. 08 Tickets Disclaims all Express and/or Implied Warranties, including Implied Warranty of Merchantability, Fitness for Intended Purpose. 08 Tickets will not be liable for any errors or damages resulting from the use of 08 Tickets Site, including but not limited to Direct, Indirect, General, Special, Incidental, Punitive, compensatory and consequential Damages. 08 Tickets and 08 Tickets Site do not make any representation or promise nor guarantee that You will receive any particular or specific results from using 08 Tickets Site or 08 Tickets’s services. So use 08 Tickets at your own risk. 08 Tickets website may include links to other websites. This does not mean that we endorse these websites. 08 Tickets has no responsibilities for these websites. You agree that in case of any harm or loss, arising out of Your use of 08 Tickets Site, including your use of 08 Tickets Site to provide link to another site or to upload content or other information on 08 Tickets Site, YOU SHALL INDEMNIFY and hold 08 Tickets and its Agents & Affiliates and each of their Officers, Employees, Contractors and Principals, FREE From any Claim, Demand, Loss, and Liability, including, Attorneys” Fees, made by any third party. This web page is hosted by a third-party, Ticketor, who is NOT responsible for any of the content on this site. You acknowledge and agree that Ticketor does not endorse and is not responsible or liable for any Content, events, advertising, products, services or other materials on or available from this website or 08 Tickets or Ketab Corp. or https://www.08tickets.com, or any damages or losses related thereto, even if such website or resources are connected with Ticketor or are on Ticketor.com or any other domain owned by Ticketor.